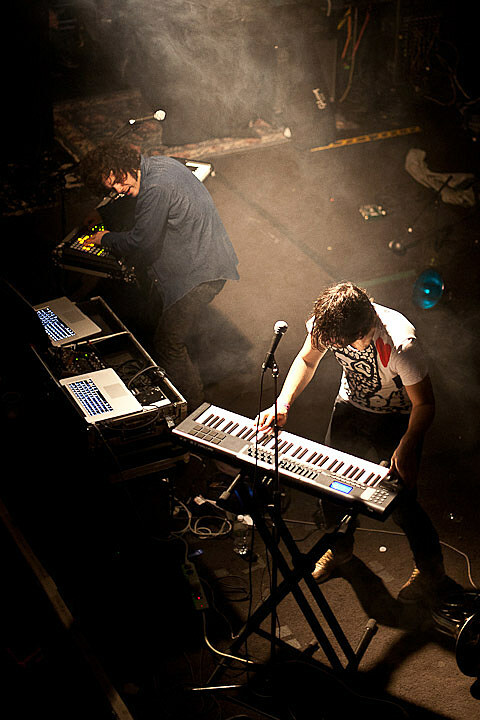 The spazzy electronic duo French Horn Rebellion are about to embark on a large scale US tour supporting Yelle. They recently released their debut LP The Infinite Music of French Horn Rebellion, and have been keeping very busy with a long string of tour dates. I was able to catch their set at The Windish House (ND 501 Studios) during SXSW, and they put on a fantastic show. Their tour supporting Yelle will make a Chicago stop at the Bottom Lounge on May 6th. Tickets are on sale now. Head below to view all Yelle / French Horn Rebellion 2011 tour dates, plus Yelle’s video for “La Musicque”.